Shopping for headphones is about more than just picking up a pair with your favorite celebrity's name on the box or even sticking to the audio brand names you recognize. There are a ton of factors to consider. In this guide we'll break down some of the major decision points to help you figure out what to look for and what is likely to work for you. Do you want compact earbuds, surround-sound over-ear cans, a pair that frees you from wires, or one that isolates you from the world and all its noise? No matter which, you'll be ready to pick at the end of this guide. There are two basic types of headphone: earbuds or in-ear and the more traditional headband-style with earcups or "cans" that sit on the ears or fit over them. Earbuds surged ahead of headphones in popularity in large part because of the rise of the iPod and then iPhone. But in the past few years cans have made a big comeback thanks to brands like Beats by Dr. Dre. Determining which type is right for you depends on several factors. In-ear earbuds are small, compact and easily wrapped up and stowed away when you're done with them. Less expensive models fit just outside of the ear canal and don't provide much isolation from noise or the best fit, depending on the size of your ears. You don't have to step up much in price to find buds that fit into your ear canal. These come with eartips, usually made of silicon or foam, that mold to the canal and block out some sound. High-end earbud makers shape the sound driver itself for better fit, comfort and to ensure they stay in place. Still, in-ears are more likely to feel uncomfortable the longer you keep them in. On-ear headphones aren't as compact, even when you can find a pair that folds up. If that's not a major consideration, headphones offer quite a few advantages. Pairs with good designs will offer decent passive noise isolation. Ear size isn't as much of a consideration when it comes to comfort, though people with glasses may notice discomfort if the cans press too hard on the ear. 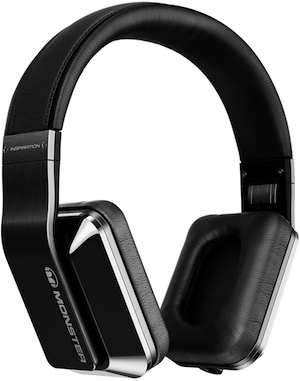 Look for on-ear headphones with a widely adjustable band and comfortably cushioned cans. 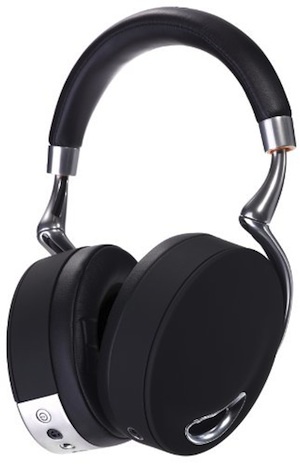 Over-ear headphones have larger cans that are designed to encompass your whole ear instead of sitting on top of them and are more comfortable for people with glasses. The cans on this type of headphone are obviously bigger and less easy to stow when you don't need them. Over-ears are favored by DJs (and people who think they're DJs) and may be higher priced than comparable on-ear models. The design does change the way music sounds -- how and why depend on the headphone -- but don't fall into the trap of thinking that a bigger can will offer better sound. On- and over-ear headphones will keep your ears warm in the winter—and in the summer, too. They're not often the choice for sports and exercise, though there are a few that are sweat resistant. If you go with a set of earbuds, be sure to check out the type and number of eartips that come with them. 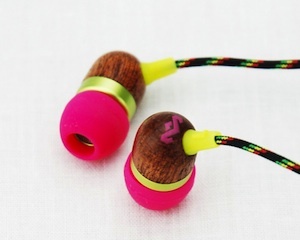 Eartips are the part of the headphone that go into your ear canal. They're often made from silicon, plastic, a rubber-like material or foam. When shopping for earbuds, try to determine how many eartips come with the pair you want. Most companies offer at least three sizes; more is much better. High-end earbuds offer multiple shapes—instead of just the rounded shape found on most, you might also get cone-shaped tips with two or three flanges. If you have a problem with earbuds falling out of your ears or not sitting comfortably, a flange-style may work better, since they sit deep in the ear and provide a bit of grip. People with difficult ears may also find a better fit with foam tips that squish down, then expand to fit your ear. However, foam is harder to clean than silicon or plastic, and you will want to keep your eartips clean. Another type of headphone resulting of the smartphone as media player phenomenon is the wireless Bluetooth stereo headset. In the past, Bluetooth audio was okay but not great. Now with new Bluetooth technology and protocols you can expect much better audio quality. Bonus: no wires needed. When shopping for a pair of Bluetooth headphones, look for models that utilize Bluetooth version 3.0 - 4.0 for the best results. Bluetooth 2.1 is good enough, but 3.0, and especially 4.0, up are better at not draining battery and delivering fuller, richer sound. The cord on your headphones is almost as important a consideration as the audio quality they deliver, and there are a ton of features to consider. One of the biggest? In-line controls. Now that many people use their smartphone as an MP3 player their headphones have to do a bit of extra work. The ability to skip tracks, play and pause without having to touch the phone is very convenient, as is the ability to answer and end calls, so manufacturers started adding controls and a mic to the cord. If you own an iPhone, almost every headphone with in-line controls is compatible with your device. Android users have it harder, though that is changing. If an in-line control works with Android, it's probably limited to play/pause and answer/end. When shopping, check for the type of control and compatibility. Some on-ear and over-ear headphones have cords that aren't hardwired to the cans but are detachable, instead. This is a great idea because it means owners can replace the cord if it goes bad for far less than the cost of buying an all-new headphones. Look for this option when shopping. Some high-end headphones come with multiple cables, one compatible with Android, the other with iPhone, and one that has no in-line controls for people who don't want them. Another feature to look for when shopping is a tangle-free cord. Even if the cable doesn't live up to this promise 100% of the time, most of them are less prone to frustrating knots than normal cords. We've found that flat tangle-free cables are among the best. The reason many people turn music up to dangerous levels is because they want to block or cover up outside noises. This is why sound isolation is important, even for inexpensive headphones. The more sound the eartip or cans can eliminate on their own, the lower the volume you’ll need which is better for your ears. This is passive noise canceling—whatever noise the design and physical properties of the headphone can block. This works in some situations, in others you need stronger noise elimination. The drone of a plane, the underlying din of a noisy office or chaotic household, and other such aural assaults lead people to seek active noise cancellation. Headphones with this technology listen to the sound around you with microphones and erase it from your soundscape. They work best with constant noise though, and have trouble tuning out intermittent sounds. Active noise canceling headphones have batteries to power this technology, so the noise cancelling stops working, and for some models the music stops playing, once you're out of juice. They also tend to cost more than other comparable headphones. For people who need that near quiet, the extra expense is worth it. The one thing we didn't talk about is price, and that's because there is no set guideline for cost. You don't need to spend a ton of money to get a good pair of headphones, and even expensive ones can be uncomfortable or not sound that great. The best thing to do is to decide on a budget, then look for the best pair within your price range. There are great choices, even for under $40. 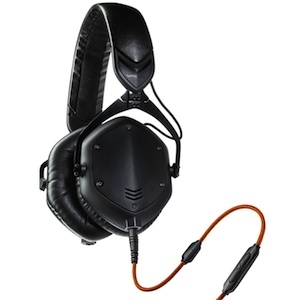 There a ton of factors to consider to make a decision to choose a best headphone for you. this article doesn’t suggest a nice one headphone but nice factors you can choose a satisfied product. The choice is your takes. Good luck to you.